Rick is about as hands-on as you can find in a company owner. 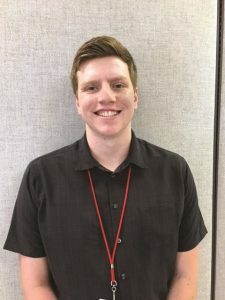 He particularly enjoys running the mobile shredding route himself in order to stay in tune with what customers experience. Recycling runs in the Weekly Family blood. 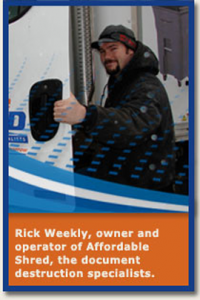 Rick’s father continues an active involvement in the day-to-day operations of Affordable Shred. Tom is here to help you with all your needs. Take advantage of the Free Employee Training for Information Security as required by Illinois State Law. 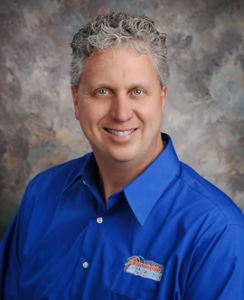 Tom is a Certified Secure Destruction Specialist to help all businesses with compliance efforts. Tom is also a Certified HIPAA Professional to assist the medical community. Zach is from Athens Illinois and is able to help you with information and schedule your shred date. Call him today and he will make it easy.